This completely revised and substantially expanded new edition embraces new developments in this rapidly developing field. 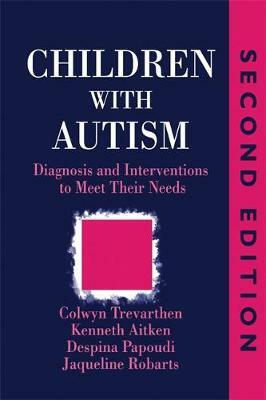 Every chapter has been rewritten with the addition of new material, and a new final chapter on `Putting the Pieces Together' reflects the authors' conviction that the complexity of autism means that many kinds of information are valuable and need to be taken into account in providing therapy or teaching for children with autism. Other chapters, updated from the first edition, include a description of the latest information on the findings of brain research (put into the context of the development of the human brain and its effect on communication in early childhood), and the contributions of music therapy and psychoanalysis. A very much enlarged chapter on educational provision for children with autism and Asperger's Syndrome provides information on the latest methods for improving the learning of these children, to give them the best possible preparation for a life of greater autonomy and maximum self-satisfaction in the pleasure of human company. New appendices summarise medical diagnostic systems, checklists and questionnaires for identifying autism, and the glossary has been considerably expanded. The wealth of up-to-date information provided will be invaluable not only for researchers and students but also for psychologists, teachers and other professionals, and parents, carers and family members in search of comprehensive and helpful information.